The goal of every email marketer is to send relevant emails. Emails with relevant content are opened more often, clicked more often, and are more likely to lead to sales and conversions. One of the most effective ways for email marketers to increase the relevance of their emails is by sending automated newsletters. These automated communication flows engage individual contacts with the types of content that they’re most likely to find relevant. 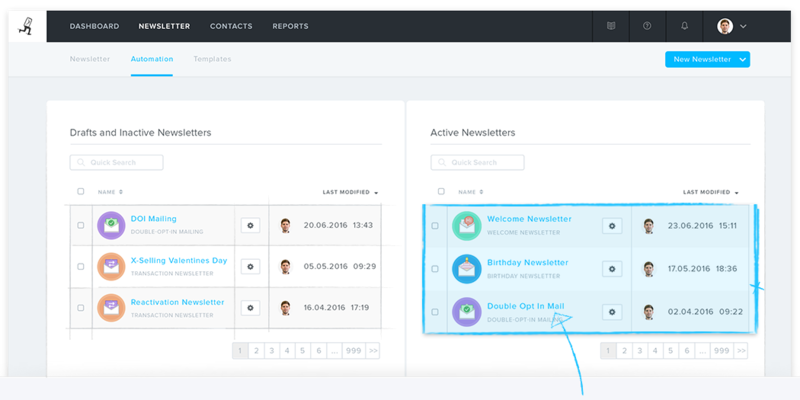 Newsletter2Go offers a range of automated email marketing tools, from purchase follow-ups to welcome emails to birthday wishes. All you have to do is set up automated campaigns once, and then they run on their own until you decide to turn them off. In a sense, they’re doing your marketing work for you. You can track the progress of your automated emails thanks to real-time reports that are generated for every newsletter sent – even if you didn’t manually press send. Send your customers automated lifecycle newsletters that are oriented on every stage of the customer lifecycle. Birthday or reactivation-emails only need to be set up once. The timeliness of these automated emails increase their relevance, and lead to higher opens, clicks, and conversions. Newsletter2Go’s personalization tools mean that you can speak directly to each of your subscribers. Send custom birthday greetings automatically, for example, along with product recommendations or personalized discount codes. Your contacts will love it! 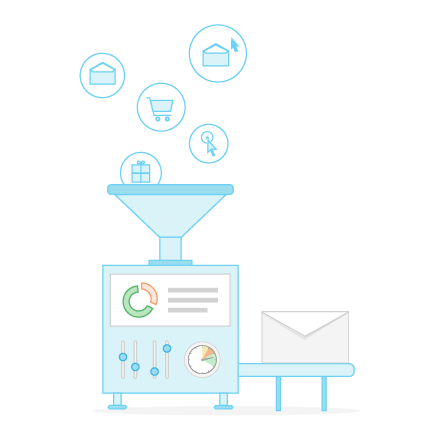 One of the most effective automated email marketing strategies is the use of trigger emails. 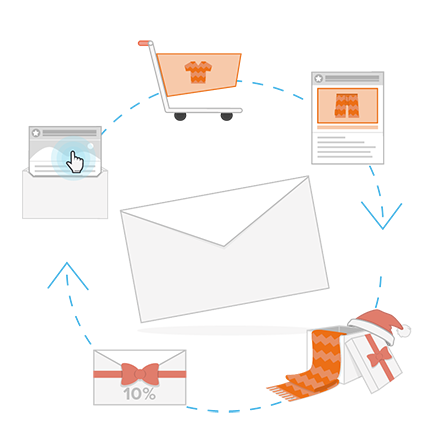 These automated emails are dispatched based on the behavior of your customers, visitors, or newsletter subscribers. For example, a customer who viewed a certain product on your website is sent an automated newsletter the next day containing that product, and other related ones. Or someone who left a few items in their online shopping cart can receive a followup email reminding them of the abandoned cart. You can use the REST-API to link your platform with Newsletter2Go’s software. You can also use trigger mails to create sequences of automated newsletters that are sent over a period of days, weeks, or months. For example, a subscriber who downloaded a whitepaper would receive automated emails over the next several weeks with related content. You can also set up trigger emails as welcome messages, shopping cart reminders, or product recommendations.